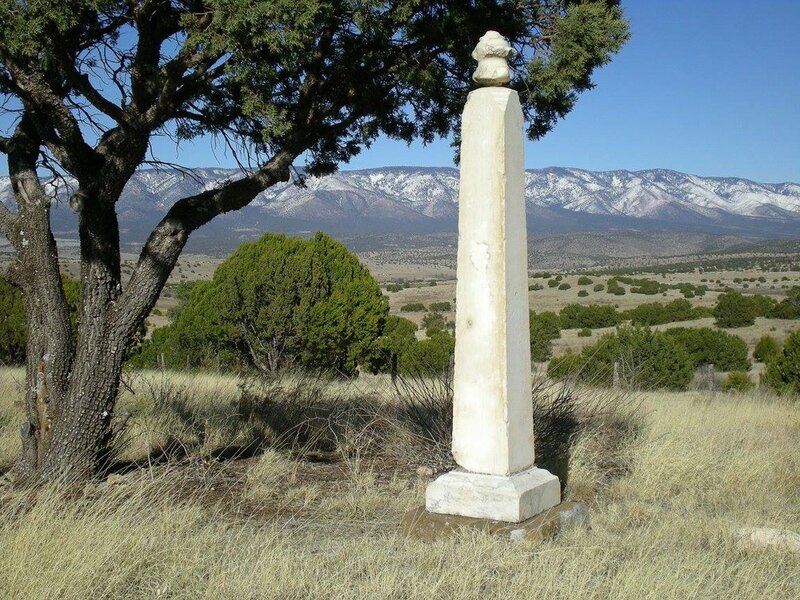 Cemeteries — Fort Stanton, NM | Where history comes to life. Selected for its healthful climate, Fort Stanton served as a tuberculosis hospital for the Merchant Marines, hosting some 5,000 sailor patients between 1899 and 1953, 1,500 of whom are buried in the Maritime Cemetery on a hillside overlooking the Fort. On Oct. 2, 2015, the Department of Veterans Affairs approved the state’s application and awarded a $5.7 million grant to build a State Veterans’ cemetery at Fort Stanton which officially opened on November 6, 2017. The Fort Stanton Merchant Marine Military Cemetery and State Veterans Cemetery serves as a reminder of the untold histories of the veterans who helped preserve freedom. The flag of the United States is proudly flown. The grounds are well-kept and orderly rows of headstones and monuments that commemorate the lives and services of those who, each in their own way and according to their talents and abilities, contributed to the growth, development and preservation of the Nation. Fresh cut flowers may be placed on graves at any time. Metal and plastic temporary flower containers are permitted. Glass Vases are not permitted. Permanent vases are no longer permitted and will not be replaced or repaired. Artificial flowers may be placed on graves only during the period from Nov. 1 to April 1. Potted plants and artificial flowers will be permitted on graves during the period 10 days before and 10 days after Easter Sunday and Memorial Day. Plantings will not be permitted on graves at any times. Christmas wreaths, grave blankets and other seasonal adornments are permitted on the graves from Dec. 1 and will be removed on Jan. 20. They may not be secured to headstones or markers. Trees are the property of the cemetery and are not to be decorated with Christmas ornaments. Statues, vigil lights, glass objects, floral items, candles, other flammable items and mementos of any kind are not permitted on the headstones and markers or gravesites at any time. The cemetery will decorate each grave prior to Memorial Day with small gravesite flags, which will be removed the day after Memorial Day. Flags are not permitted on graves at any other time. Floral items will be removed from graves as soon as they become faded and unsightly. During the mowing and ground maintenance season, all unsightly floral items will be removed each Friday.